SCOTTSDALE, Ariz., April 15, 2019 /PRNewswire/ -- Nikola Motor Company will unveil its highly anticipated zero-emission product lineup and make significant industry announcements tomorrow, April 16, at Nikola World 2019. The event will be attended live by more than 4,000 members of the media, industry partners, customers and government leaders at WestWorld in Scottsdale. For those not in attendance, the event will be globally live streamed on Nikola's website: www.nikolamotor.com, beginning at 7:00 p.m. Pacific Daylight Time. The event on Tuesday evening and Wednesday morning is dedicated to industry-related participants. On Wednesday afternoon, the general public is invited to attend. Registration is required at www.nikolamotor.com. Nikola Corporation designs and manufactures hydrogen-electric vehicles, electric vehicle drivetrains, vehicle components, energy storage systems, and hydrogen stations. The company is bringing the nation's most advanced semi-trucks to market with more than 13,000 trucks on preorder. Nikola is led by its visionary CEO Trevor Milton (Twitter: @nikolatrevor), who has assembled one of the most talented teams in the country to bring the Nikola products to market. The company is privately-held and headquartered in Arizona. 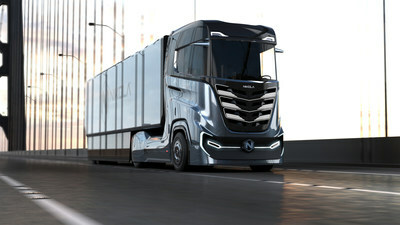 For more information, visit nikolamotor.com or Twitter: @nikolamotor.